2012 was a slow year for me when it came to collecting Omegas. Other brands got my attention (Universal Genève, Seiko, Rolex, etc) but still a little happened anyway. A since long planned project was due in March. Bought a cheap "Bond" or actually it is a "pre-Bond" even if that normally means the Seamaster before this model. This actual watch is from the year before the film and even if it since then has been called "Bond" it was not marketed as such in the beginning. Long rant, but I hate the Bond-connection and Omegas relentless "limited" editions of them. My project was to combine original parts and create a watch I thought Omega should have made - but never did. 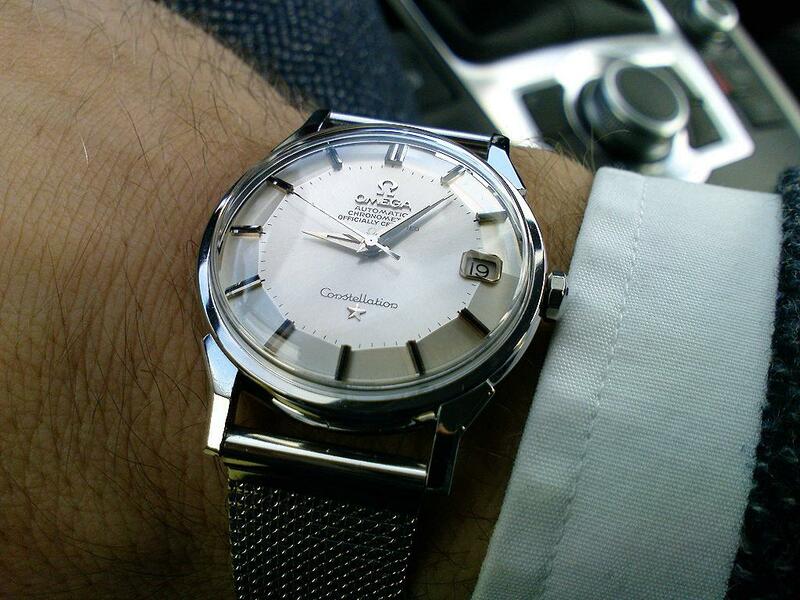 A 2531 Seamaster with 2255 dial and hands. Mission accomplished. It competed too much with my titanium Seamaster 300 (2231) for wrist time and was sold some time after the completed project. 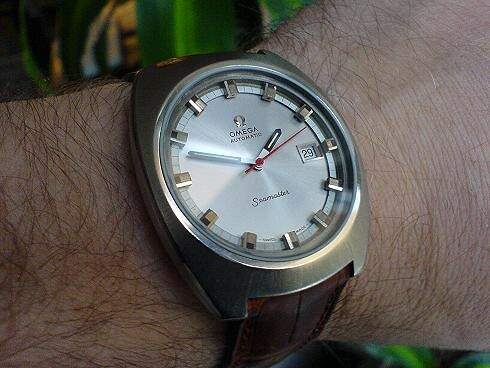 Still I am convinced that Omega should have made this watch. For Omegamaniacs this trade might seem strange but I am also into Zeniths...and a 1000m is hard to find. The 861 Seamaster was nice but I do not like redials. I finally found the right 2293.52.00. Been longing for one of these for some time and in July I got lucky. As I find the watch looking better on a rubber strap I will eventually get the strap from a 2993.52.91 but until then I have put on a Bonetto Cinturini. 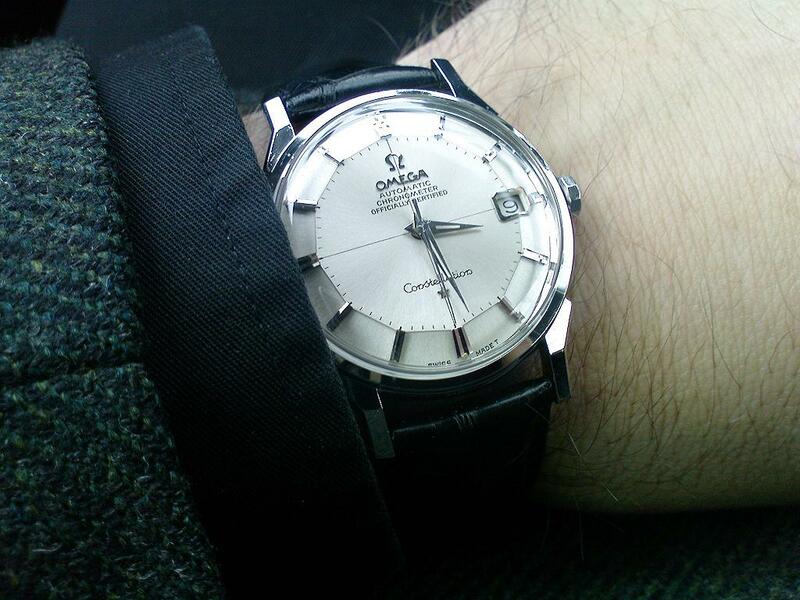 Last but not least- just some time ago I finally got my hands on a real, genuine black dial Constellation. Pic showing how it came to me dirty, scratched and sad looking but when studying the dial closer it is almost perfect. Rare is a overused word but let us say it is quite unusual being black AND in good condition. My intention is to have this dial in a 168.005 18ct case in the future. For the time being the cold cap case will do. The movement is at the watchmaker and I have the case for some gentle cleaning and TLC. There is a lot of fake or redialed black Constellation dials out there. This is a good example of a genuine, original, untouched dial. It has the correct facetted frame around the date, the correct fonts/serifs on texts etc. It has taken a long time but now I have one! Without his effort and that he so willingly share his findings - I would not have my four Connies. This may look like it is the same watch but it is not crosshair, indexes etc, differs. 18 ct rose gold in 99,9 condition the pictures does not do it justice...It has a warm glow that is just impossible to capture with a mobile telephone camera. This one is special to me. Cal 751 Seamaster officially certified chronometer. Not that common and in perfect shape. This is what Omega should look at for inspiration. Well that was in/out/SOTC for 2012. 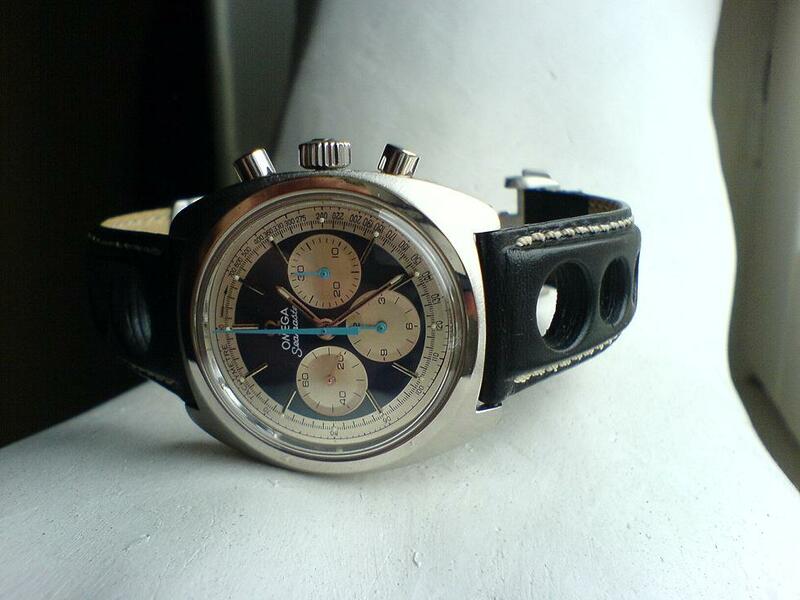 "Project blue Seamaster" in AND out, titanium chronograph in, Connie black dial in, Seamaster 861 redial traded out.